Start thinking to be a carpenter. 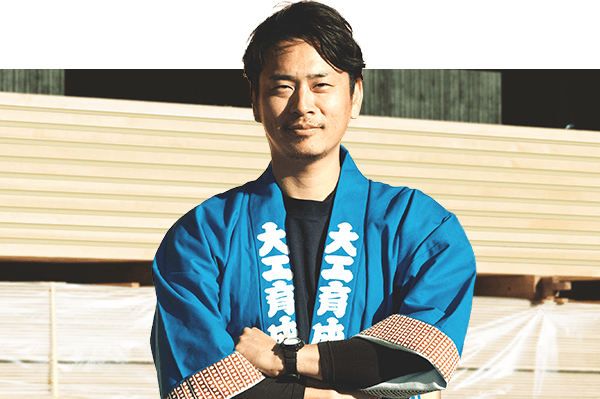 Started working as a carpenter at Kenchikukoubou Yuuzansou. Did nothing but playing soccer. 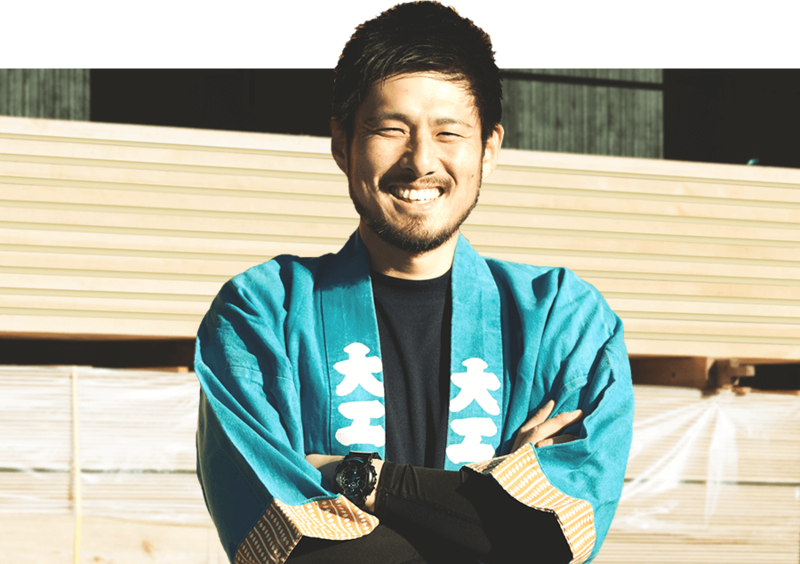 Started working as a carpenter at Umeno Construction Co., Ltd.
We recruit personnel for apprenticeship carpenter as required. Our company has a very good environment for training young apprentices, because all the carpenters are young. It is easier for a young apprentice to learn new carpentry work from young carpenters. Therefore, they can learn the carpentry work faster. And it is also easier for a young carpenters to teach a young apprentice. 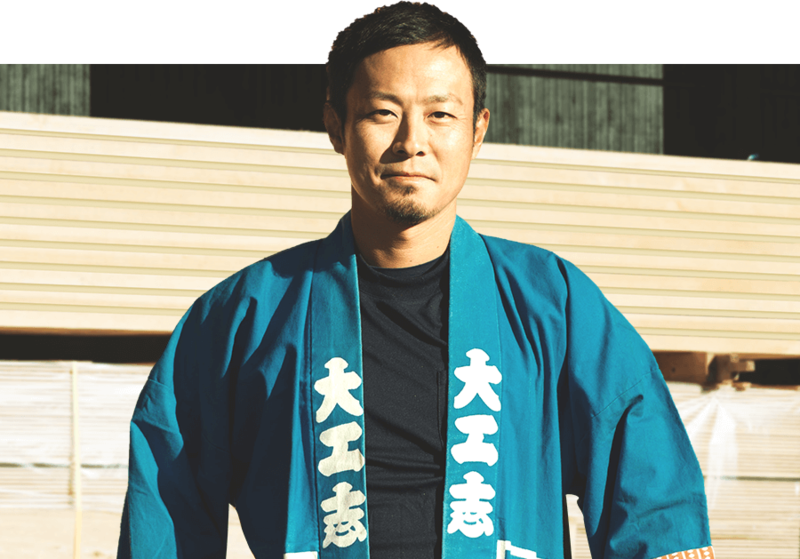 Regarding the method of training carpenters, we have adopted the training system established at Daikushi Carpenter’s Association based on the experience at the Carpenters Training School. For the first month after joining the company, the apprentices have a concentrated practical training. They will learn the basic work from the fundamental usage of carpentry tools, to the basic technique making couplings and junctions. Because they are gathered from several companies, they may study themselves, compete each other, and cherish friendship. This experience will surely encourage their growth in the future. Since we have simple accommodation facilities, the participants can stay overnight, and join from a remote place. In the world of craftsmen, it has long been said that disciples should steal technology by seeing the work of the master and senior. However, at work sites, there are few opportunities to encounter the work that contains valuable techniques to be learned. It is very disappointing that a disciple cannot be taught the important technologies, essential for a carpenter. In order to solve this problem, we are making videos that our disciples can refer to specific technologies at any time. All disciples can watch videos repeatedly as necessary when time is available. Therefore, they can more easily figure out procedures and points of work and speed up learning skills. Once a month, the disciples will attend classroom lectures all day. 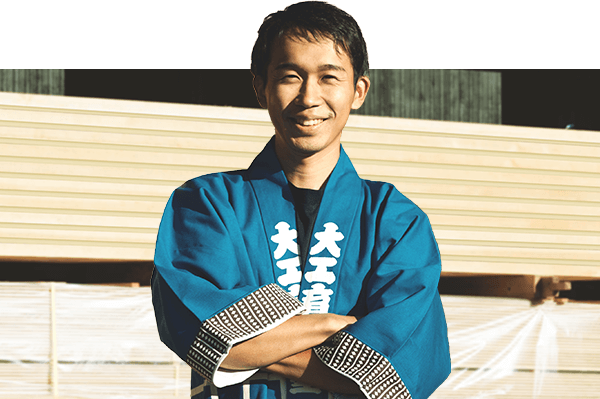 The lecturers are young and mainly consist of Daikushi carpenters such as Ikeo. The disciples will learn general knowledge and intellectual education that can not be obtained in on-site work or technical training. For the time being the classroom lectures are limited in Sumaikoubou. The lectures are recorded for those who wish to watch or review when time is available. In addition, we are preparing a web lecture system. After the web system is completed, disciples in other companies can attend the lectures on the screen. Every six months, the disciples will take an examination to be confirmed the goals of both technique and knowledge. In case of failure, the disciples will work out until they pass. Taking the technical exam, disciples would practice by themselves to prepare the exam, or would be taught by seniors, and could work on their daily work with the goal. The disciple will serve his carpenter apprenticeship for three years. 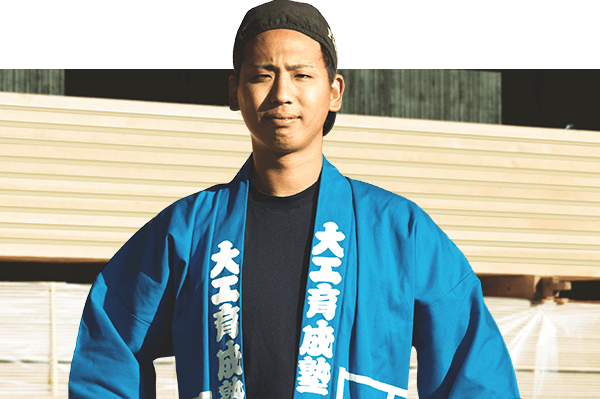 To expire his apprenticeship, the disciple should acquire basic technique of “sumituke” and “kizami” of “koyagumi”, and should complete a site by himself. And another criterion for the graduation is that, in an actual site, the disciple could be responsible for the carpenter work. 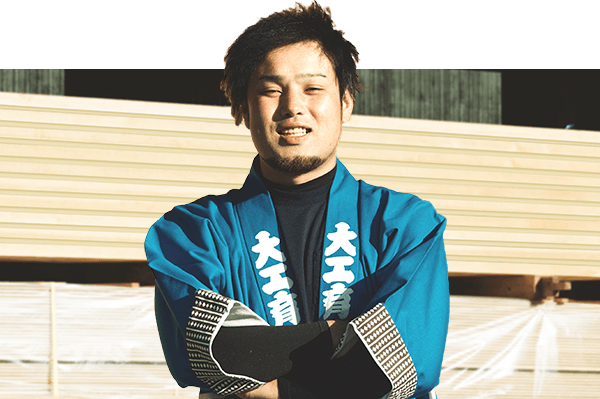 The graduation goal in three years seems to be a little harder, but the level could be cleared without problems if the disciple would continue to make an effort for three years. This training system is supposed to start from April, but we also accept disciples that start from midway. Since disciples can participate in our study group and external workshops, they have the opportunity to acquire knowledge as well as technology. In addition to training our own craftsmen, we are also focusing on developing human resources throughout the building industry.  For example, we offer special lectures on wooden buildings and practical guidance for students of the department of architecture at a university.